Here is what some of our most recent military reunion planners have said about their Clarion Hotel Portland experience! Thank you for making our stay at the Clarion such a pleasure. Everyone at the hotel was always cooperative and agreeable. Especially thank Trish and Marissa. They made my request “number one” priorities. Again, thank you to everyone at the hotel. On behalf of 474th I want to thank you and your staff for your hospitality during our stay. Your everyday kindness helped to make this a memorable reunion. Portland was a great town for our reunion and the Clarion was an ideal fit for our size group. 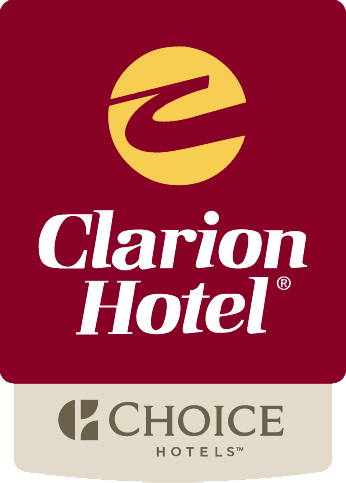 All of the staff at the Clarion were supportive and rapidly responded to needs; the meals in the restaurant were better than many hotels we have visited over the years. You need to know how much we really appreciated all the work, support and just overwhelming hospitality your hotel staff gave us and the clean facility you have. Your staff is wonderful. You made our USS Stoddard Reunion a very memorable one. I spoke with all the veterans, and they said by far visiting Portland, and staying at your hotel, made it very welcoming to each and all. Heather, thank you for helping each and everyone, your staff is wonderful, your breakfast as well as the other meals that people enjoyed in your restaurant were unbelievable. You went above and beyond, and we were told that if we ever hosted another reunion here in Portland, that they sure hope you would be the hotel of choice, of course, it would be. A number of my friends and I recently spend some time in early September at your hotel. I was the coordinator for our group which was known as the ‘Bitburg Reunion.’ For the past two years, I also was the one who put forth New England as a place to visit. Last, but not least, I selected Portland, ME as our destination. Early in my search I requested the Convention Bureau send out two emails to a number of hotel. The emails, I think, were called a ‘request for proposal’. In addition to price, I asked for other reasons I should choose that hotel. The one thing that Mrs. Levesque did that none of the other respondents did not do, was she reached out and called me. We spoke of many areas of interest. I late told my wife, ‘Mrs. Levesque understands me and what I wish to accomplish’. Aside from the convention bureau sending the request for proposals, Mrs. Levesque was the most singular reason I eventually chose your hotel. She had the answers or quickly found them. She is an outstanding asset to your hotel. The reason I make that statement is that in my opinion is an exceptional person, doing a superior job in a very competitive environment. You created a sense of family for us; and, you were nothing less than outstanding. Your professionalism was superior. This letter is being written to tell you about the fantastic experience the crew of the USS Brush had at the Portland, ME Clarion Hotel a few weeks ago! The rate was good, the rooms clean, the food was excellent.